A funeral marks the end of a person’s life here on earth. 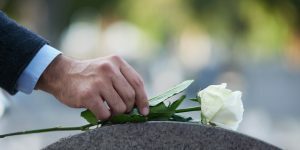 Many people want to mark the death of a loved one with a service at their local church. At St Thomas’ we want to do all we can to help and support families at such a difficult time. As well as arranging the practicalities of the service, as a church family, we’ll be praying for you and are available both in the period before the funeral, and afterwards with pastoral care and to help with any practical needs. Everyone who lives in Kilnhurst parish is entitled to a Christian funeral service at St Thomas’ Church, and, if desired, burial in the churchyard. You may also have their cremated remains buried in the churchyard memorial garden. You can visit their website or call 01709 571 777. You can visit their website or call 01709 582 892.